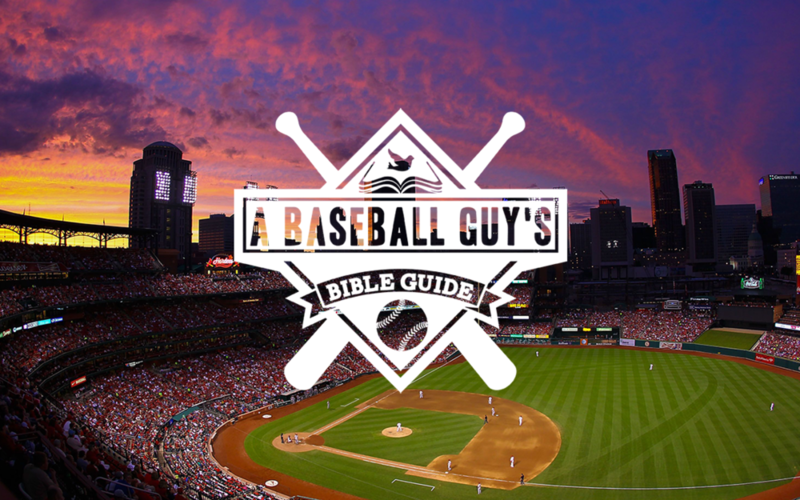 As we move from Genesis and into Exodus, I will continue to build on the themes from the Bible and bring them into the context of baseball. Part of the point of the Word is to examine the story but also to let the stories examine you. I know I’ve been challenged personally by this first round of writing. Am I more concerned with knowing or doing? Am I building my kingdom or God’s Kingdom? Do I trust God to use my failures to show His faithfulness? How am I doing with perseverance? I hope you’re enjoying and engaging with the Word as I am as I write. I wonder how Mark Belanger felt in 1981. Belanger won the Gold Glove 8 times between 1969 and 1978, was an All-Star in 1976, and received MVP votes three times. But in 1981, a young man named Cal Ripken, Jr. showed up in the Baltimore Oriole clubhouse. Life changed for Belanger in that moment. Or how about Paul Schaal in 1973? Schaal had his best season as a pro in 1971 when he hit 11 home runs, drove in 63, and hit .274. In 1973, he hit a career high .288. But in 1973, a young man named George Brett showed up in the Kansas City Royal clubhouse. Schaal’s baseball life was never the same. This leads me to this question from Exodus - how do you treat people you see as a threat? I wonder if Belanger and Schaal helped Ripken and Brett find their way in the big leagues, or if the threat they felt caused them to become bitter towards these future Hall of Famers. In Exodus, we see the story of the nation of Israel 400 years after Abraham living in captivity to Pharaoh in Egypt. Israel was fruitful, multiplied and filled the land of Egypt. Pharaoh sees Israel as a threat. He enslaves the people and orders all of the Israelite boys to be drowned in the Nile River. That’s one way to deal with a threat! It’s natural to deal with a threat by trying to fight for your own survival. That’s what makes the opposite reaction the way of Jesus. The idea of “working yourself out of a job” or preparing the path for your replacement is how to build God’s kingdom and not your own. Focus on others and their success, and watch what God does though your life. One of the risks of focusing on yourself and building your own kingdom is that your heart can become hardened towards other people and towards God. This is what occurred to Pharaoh and the book of Exodus outlines how this happened. Before getting into the details, let’s grab on to this idea - God is a redeemer. His plan of redemption for all of mankind is recognized through Jesus Christ, but He will also redeem individuals from oppressive situations. In the case of the Israelites and Pharaoh, He hears the cries of the people and follows through on His promise to redeem. When saving such a large group of people, this plan takes many steps and a lot of time. It’s not an overnight flip of the switch. One of the most interesting parts of Exodus is the plagues that begin in Exodus 7. There’s an interesting thing happening in Pharaoh’s heart, a repetition at the end of each plague that says one of three things - Pharaoh hardened his heart, that his heart was hardened, or that the Lord hardened Pharaoh’s heart. I’m convinced that a hardened heart happens to all of us in that order. We harden it ourselves first, people recognize that our hearts are hardened towards something, and then God allows or even hardens our heart further to accomplish His purposes. In this case, God was going to keep His promise to rescue the Israelite people. Pharaoh had done the hard work of hardening his own heart, and God allowed that choice to continue to manifest itself. When it comes to our hearts, it’s up to us to keep our arteries from hardening so life’s blood can continue to flow. If we allow debris and distraction to harden our hearts, our outflow to our friends, families, coaches and teammates will be affected deeply. It’s up to us to prevent our hearts from hardening so Jesus has a clear temple from which to operate through our lives. Though God is on a mission to confront evil and redeem the Israelite people, the hearts of the very people He’s trying to save start to change while they’re on their journey. Even though the Israelites experience feasts, pillars of clouds and fire, crossing the Red Sea, turning bitter water into sweet water, bread from heaven, water from a rock, and defeating an army, they still start criticizing and complaining. Their hearts harden as well. Think the Israelites are unique? Nah. The people Jesus encountered wanted His magic as much as they wanted Him. We’re no different. How many prayers have we said and forgotten in the midst of a baseball game or season? We’ve all had those conversations with God in the middle of our baseball journey. And we’ve forgotten Him or turned on Him just as fast as the Israelites. This is what I referred to earlier as letting the stories of the Bible examine you. It’s easy for us to criticize or judge the Israelites in hindsight. We know the end of the story. They’re the ones in the desert trying to survive. Get yourself into a desert experience and watch how quickly you thank Him in one moment and let fear and anxiety run away with you in the next. This journey of Israel represents our journey with God. We have to read it that way and understand the importance of the wisdom gained in the journey. We have to reject the moment-to-moment emotion and let God work out what He needs to work out. Sometimes it just takes a little time. Keep your heart soft to God and His leading.